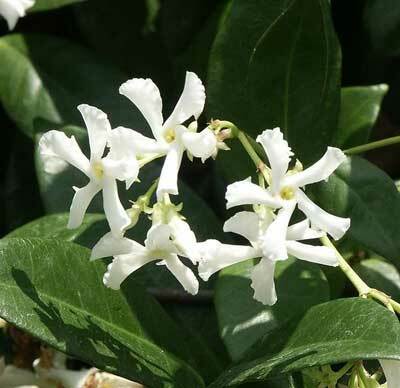 A sweetly perfumed, evergreen climbing plant. Flowers in summer with star shaped white flowers. Foliage goes a burgundy colour with severe winter frosts. Height to 6m. Width to 2m.